In case you ever doubted the greatness of these United States of America, all you need to do is look at one of America’s rowdiest creations holding its own on an autocross course. I’m talking, of course, about the noble Dodge Ram dually pickup truck. The announcer mentioned a Ford Excursion that ran at the event as well, so the best part is that this isn’t the only truck who ran the autocross. The big Ram beat the Excursion’s time, though, because clearly, its driver has skills. Bonus: I may be in love with that 1972 Chevrolet Vega at the end of this video. It’s brown, loud and fast. 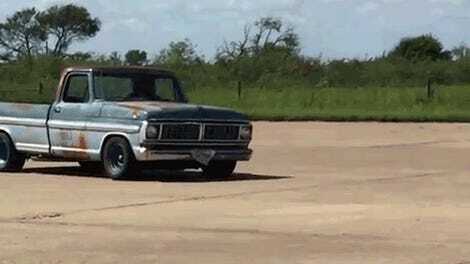 Yes But Can You Run A Rusty Old Ford Pickup In Autocross?